The leaves of the Psychotria viridis (Chacruna) shrub are a principal segment of the ayahuasca profound pharmaceutical in the vast majority of western Amazonia. 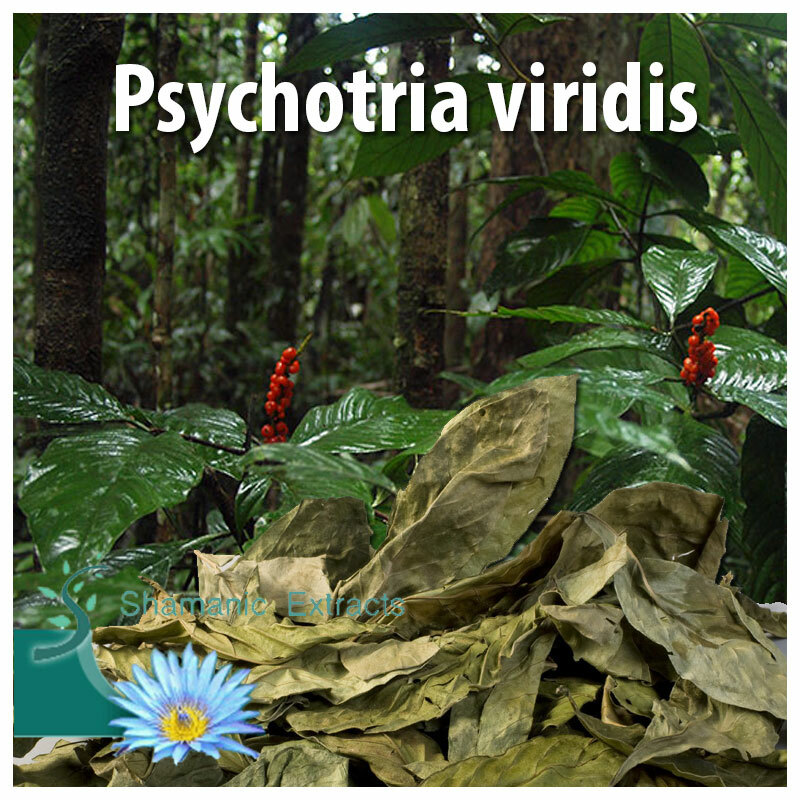 The Psychotria viridis contains DMT and is viewed as including the 'light' to the experience, while the vine Banisteriopsis caapi gives the 'quality' (or in synthetic terms, a MAO inhibitor). Psychotria viridis develops in the warm and tropical districts of the two halves of the globe. It's a low to tall bush or little tree. Roughly 1,200 species have been depicted, of which Psychotria viridis is the most ordinarily utilized. 28 grams is a low measurement, 56 grams a medium and 84 grams a high dose. Stew on a low fire for 2 hours to make a mixture. A few people make a moment imbuement from a similar plant material, at that point join the two implantations and come down to achieve a more drinkable volume of tea. A pack of chacruna contains 28 grams of dried clears out. Vital dynamic fixings: The tryptamine alkaloid N, N-dimethyltryptamine, Beta-carbolines, and Phytosterols are additionally present. Psychotria viridis and Banisteriopsis caapi are the parts of the ayahuasca mix utilized by the Santo Daime church in Brazil, Europe and North America. Try not to utilize if pregnant or nursing, or if insane or seriously discouraged. Abstain from driving under its impact. Try not to join with liquor or other psychoactive substances. Store in a cool, dry place. Not reasonable for minors. Share your experience about Psychotria viridis leaves with other customers. Submit your tips or thought on this product, be detailed and specific.